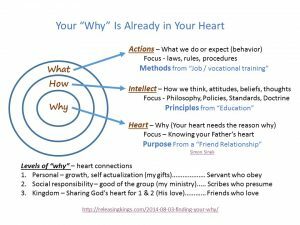 “What’s new” about this reformation is that we are finding the why in our hearts…. and in our Father’s heart. 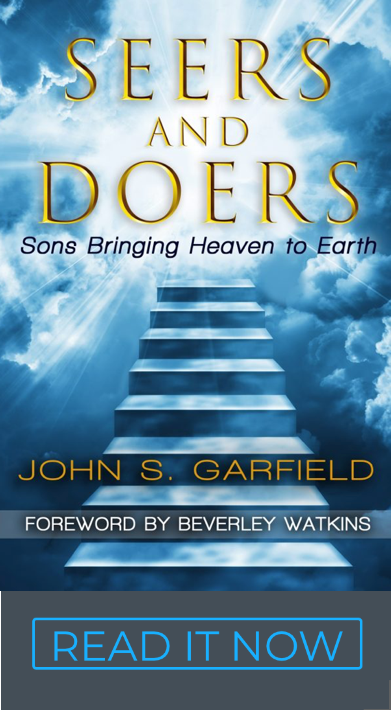 It’s very prophetic and very practical… it naturally drifts toward impacting nations. Friends volunteer to co-labor and collaborate; servants are compelled. Initiative is the difference. This reformation is premised on the King of kings, not the King of servants. Reformation Rocket fuel – Luther’s reformation gave us an invitation into God’s presence via justification by faith (I’m in Christ). This reformation is an invitation into God’s heart and into co-laboring in the Kingdom (Christ in me). We each have a purpose written in our book (Ps 139:15-16). That “why” is the passion that naturally motivates us toward our mountain. It is the rocket fuel of the current reformation that will impact the nations. Just do “You” – In order to have what we really want and ask “whatsoever,” we must first be who we really are. For that to happen we must trust what God has written in the desires of our heart. It releases the freedom of creativity in our hearts to initiate and innovate in wisdom. This relational collaboration of friends of Jesus with the Father, puts prophetic revelation and practical wisdom in a much healthier balance. We can be wise and anointed at the same time. We can have fun, be ourselves, make money, love people and build the Kingdom at the same time. It’s a privilege and a party. It moves believers out of introversion / over-spirituality and into their culture and their commission. Our “why” is the foundation for wisely managing risk and resurrecting from failures as we navigate life. Partnering with the King of kings means our path will share both sufferings and resurrections. Simon Sinek’s youtube video on this graphic is famous and instructive. Although it’s for a secular audience the strategy has a Kingdom focus. It builds on prior diffusion theory in communication https://en.wikipedia.org/wiki/Diffusion_of_innovations.